Miscarriage is the spontaneous (naturally done by the body) termination of pregnancy before it develops sufficiently enough to survive (before the 20th week of pregnancy). More than 80% of all miscarriages occur within the first 3 months of pregnancy, so this is the crucial time every pregnant mother must take all precautions to ensure they don’t lose their unborn baby. The likelihood of a pregnant woman having a miscarriage rises with an increasing age of the woman and her husband. The older the woman before she gets pregnant, the more likely it is that she may have a miscarriage. One out every 4 pregnancies in women aged 40 years and above will likely end in a miscarriage. This is because of what is known as a chromosomal anomaly: a situation where the baby forming in the woman’s womb has so many problems that if they get to be born, they will come with very severe physical deformities. Chromosomal anomalies occur more commonly in the woman’s eggs as she advances in age, meaning that babies arising from fertilization of any of the eggs will have the physical manifestation of those anomalies. The same goes for the husband: the older the man gets the more likely many of his sperm cells will have these chromosomal anomalies. If one of these sperm cells fertilizes her wife’s egg, the baby will likely have abnormalities. In order to prevent the birth of these babies with very severe abnormalities, the mother’s body has a way of initiating several mechanisms that ultimately ends in the natural abortion of the forming baby within the first 3 months of pregnancy. Hence, it may be wise for couples to complete their family size before the woman is 40 years. Medical research has shown that poor control of blood sugar within the first 3 weeks of pregnancy in women whose diabetes relies on insulin is associated with a higher rate of miscarriage compared to non-diabetic pregnant women. This shows the importance of women regularly checking their blood sugar, especially before getting pregnant. Those who are diabetic and depend on insulin should consult their doctors for excellent control of their blood sugar before they get pregnant and throughout their pregnancy to reduce their risk of having a miscarriage. Smoking and excessive alcohol intake cause a lot of problems. Pregnant women who smoke and consume large quantities of alcohol stand a very high chance of losing their unborn babies compared to those who don’t. This is why doctors strongly advise against taking any drugs and alcohol and smoking, once a woman misses her period and it is likely she’s pregnant. 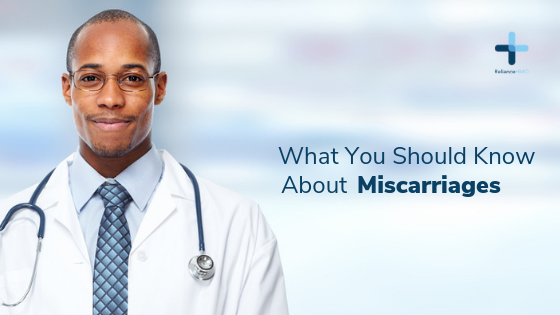 There are so many other risk factors that have been associated with miscarriage, but there are no sufficient research studies to back them up on a large scale. However, it is important for a woman to go for a detailed medical check-up before she gets pregnant, and once pregnant, should be faithful with attending an antenatal clinic to see her doctor and always report any unusual thing she experiences.